It’s hard to outfit an affordable truck with worthwhile options without inflating the bottom line, but we think an XLT could be fitted with plenty of amenities while keeping the price reasonable. The 2018 Ford F-150 sports new looks and a wider availability for a 10-speed automatic transmission. A turbodiesel is in the works for this model year, albeit later in 2018. The 2018 Ford F-150 is proof that trucks aren't just for truckers. They're de facto family vehicles or luxury wagons, evidenced by trucks' popularity on roads. They all can't be driven by roofers anymore. Consider the following: A 2018 Ford F-150 Limited includes active lane control, leather upholstery everywhere, a sound system designed with Bang & Olufsen, 22-inch wheels, and more cameras than a courthouse. The 2018 Ford F-150 comes in seven trims with available five engines, two transmissions, three bed lengths, three cab configurations, and two drive options. A 3.0-liter turbodiesel V-6 arrives for the first time in the Ford F-150 and will go on sale in summer 2018. No two F-150s leaving the factory need to be alike, so we encourage shoppers to consider our subsections before deciding what F-150 might fit their needs. For 2018, Ford redesigned the front and rear of the F-150 to more closely align with their Super Duty range, which is now more related to the light-duty truck. The 2018 F-150’s grilles are more macho and the tailgates are more expressive, if that’s your thing. This year, all F-150s adopt a standard start/stop feature that decreases fuel consumption while idling and more trims take on a 10-speed automatic to improve fuel economy, if that’s your thing instead. Ford’s truck casts a wide net: the 2018 Ford F-150 XL is a fleet-special, basic work truck with a spartan interior; the Ford F-150 Raptor is a desert sports car; the 2018 Ford F-150 Platinum rivals many luxury vehicles. The uses for the F-150 are as unique as the drivers, but they now span broader missions than the truck’s original purpose when it was first introduced 70 years ago. If you haven’t been inside a full-size truck in a while, be prepared for a shock. The 2018 Ford F-150 remains instantly recognizable as a truck, although some of the details have been revised this year. The trucks’ front grilles and bumpers have changed since last year and most trucks will feature the same two long, horizontal bars across their snouts featured on the Super Duty range. Sport packages and appearance add-ons can swap out the bars for a black honeycomb maw, with the overall idea being that an 2018 Ford F-150 XLT with an SXT Appearance Package won’t look like a 2018 Ford F-150 King Ranch. The F-150’s headlights now better frame the chrome or plastic grille bars, although sport-trimmed trucks still get small inserts that effectively function as dead spaces between the bracket-shaped headlights and grille. Along the sides the F-150 eschews most body stampings in its aluminum construction to better cheat the wind for fractionally better improved fuel economy—and probably to save money. Around back, the F-150 uses more distinctive stampings in its tailgates to further differentiate the trims. This 2018 Ford F-150 Lariat models, for instance, have a big “F-150” stamped into the tailgate while others have an aluminum finish. The F-150 has evolved inside too. The interiors of some trucks are now shod with upscale leather interiors, a large touchscreen for infotainment, and a big LCD screen planted between the instruments for secondary information. Most versions of the F-150 retain the big-handed controls and dials that trucks should have, while real wood and leather trims help add richness where it may not be necessary all the time—or even a consideration by the buyer. For the 2018 Ford F-150: More 10-speeds, more power, more better. Between the redesigned entry V-6, new turbodiesel, and a more available 10-speed automatic transmission, there’s plenty to talk about under the hood of the F-150. Ford revamped its base V-6 with a lower displacement (3.3 liters this year, down from 3.5 liters last year) without sacrificing power. 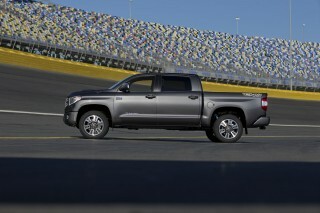 The base V-6 is up to 290 horsepower and 265 pound-feet of torque, and adds direct injection for better fuel economy. Base V-6 trucks are paired with a carryover 6-speed automatic, and it’s the only truck with fewer than 10 gears this year. Most of these trucks will live in fleets and work-spec configurations. But they aren't penalty boxes. The V-6 is a fine powertrain for work duty, with accessible low-end grunt and a relatively quiet character under heavy acceleration. The 6-speed automatic is adequate, too, swapping gears quickly and without drawing attention to itself. The first stop for many retail buyers will be the 2.7-liter turbocharged V-6, which Ford calls EcoBoost. The 2.7-liter V-6 makes 325 hp and 400 lb-ft and is newly mated to Ford’s 10-speed automatic that it developed with an unlikely partner: General Motors. 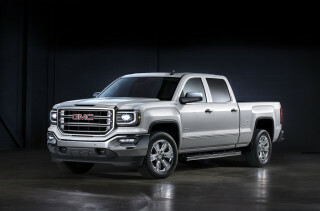 (GM only started using the transmission in trucks and SUVs.) The smaller V-6 is a direct competitor to small-displacement V-8s, and is rated to tow up to 8,500 pounds or carry 2,500 pounds in the bed. It's an optional upgrade on XLT and Lariat trucks, and worth the money, according to us. Low-end torque is a strong point here, and the 2.7-liter's linear power delivery means it feels smooth and strong as the revs climb. It lacks the aural drama of the 3.5-liter turbo V-6, but it provides more than enough speed for most F-150 consumers. A 5.0-liter V-8 is available for traditionalists looking for a throaty V-8 engine rumble, even if it’s only a point of pride anymore. The V-8 gets a power bump over last year’s 385 hp and 387 lb-ft, with 395 hp and 400 lb-ft this year. Like the turbo-6 models, the V-8 gets the 10-speed automatic transmission to help wring more miles between visits to the pump. A 3.0-liter turbodiesel V-6 is available for the 2018 model year. It's the first time Ford has planted a turbodiesel under the F-150's hood and, according to them, it was worth the wait. The diesel engine comes to the U.S. by way of of the U.K., where it's also shared with Jaguar and Land Rover (in the Land Rover Discovery and other applications). The Ford unit makes similar power figures, 250 hp and 440 lb-ft, but its rated to tow up to 11,400 pounds in the F-150 and manage up to 30 mpg highway. Its price premium is steep—up to $4,000 in some configurations—but for frequent towers the diesel may be a boon. The engine itself is smooth and silent—remarkably so. It provides good power, but doesn't feel noticeably stronger than the 3.5-liter twin-turbo gas engine. Given the big fuel economy penalty for the four-wheel drive F-150s that outsell their rear-drive siblings, the turbodiesel is a head-scratcher to us. It's a confident tower, but only marginally more so than F-150's gas engines. 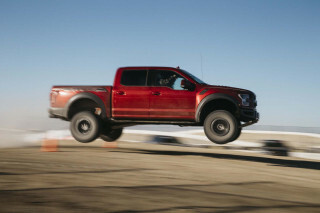 The top stop is a 3.5-liter twin-turbocharged V-6 that makes 375 hp and 470 lb-ft in most models, although a related version in the Ford F-150 Raptor makes 450 hp and 510 lb-ft. The 3.5-liter turbocharged V-6 compares favorably to big, naturally aspirated V-8s from Chevrolet and Ram. The Ford 3.5-liter turbo-6 has the highest tow rating, up to 12,000 pounds, although its fuel economy is somewhat unpredictable. Owners have reported wild swings based on driving conditions, which we’ve noticed in our testing as well. But the power on offer almost makes that behavior worthwhile. This engine is effortlessly strong, whether from a standstill or at freeway speeds. The two turbochargers spool quickly and manage to keep the V-6 on the power up into the higher parts of the rpm range, where turbocharged power traditionally falls off. After first sampling the 10-speed automatic in the 2017 Ford F-150 Raptor, and again in a Ford F-150 Limited model, it’s clear that Ford has a winner with the new autobox. The 10-speed’s effortless upshifts are matched with quick and intelligent downshifts that sometimes swap up to five cogs for highway passes. Its shift logic is fairly intelligent; we’ve noticed that it doesn’t reach into the last two gears without significant time cruising at highway speeds, and it makes the most of its wider gear spread to offer lower-numerical rear axle ratios for better fuel economy without sacrificing towing capability. The F-150 still uses extensive aluminum components, helping the truck shed up to 500 pounds in some configurations. Underneath the aluminum body panels is a steel ladder frame that still uses mostly high-strength materials. The 2018 F-150’s front suspension is a coil-on-shock independent arrangement, while the rear retains the Hotchkiss-type solid axle riding on leaf springs and outboard shock absorbers staggered to reduce axle windup. The F-150 doesn't have a rear-coil or air-spring setup like the Ram 1500, or the adaptive dampers of the GMC Sierra Denali. Even so, there's a cushion of ride isolation that stems directly from the lightweight body. The F-150 is even tempered at lower or moderate speeds with all the smooth motions of a mid-size sedan. At higher speeds, the Ford F-150 pitches and rolls like a tall, heavy vehicle—the shoe fits, sunshine. The F-150’s main attraction is still its versatility and usability, but top trims can feel downright luxurious. The 2018 Ford F-150 is a truck after all, and that shows in its brute-force utility and ride. Ford has done a very good job of convincing us otherwise in top trims, especially Ford F-150 King Ranch models, but even friends with luxurious trucks get pressed into moving detail from time to time. We’re the first to admit that we like the overall styling of other trucks. Rams are still handsome, and Sierra/Silverados are simple and straightforward. The Ridgeline is more comfortable to drive, and the Titan has its charms. The F-150 is just as substantial, even if we take issue with some of the materials and layout. The 2018 Ford F-150 is offered with three cab configurations: two-door Regular cab; extended SuperCab with a short back seat and rear-hinged doors; and the full-size four-door SuperCrew model that is the best-selling model. Regular cab models, most often Ford F-150 XL and Ford F-150 XLT models, are work-truck specials or entry retail trucks that don’t feature many creature comforts. 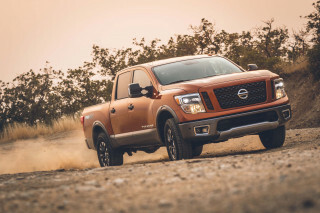 While they may be spartan, those trucks still boast a boxy cab with plenty of interior space for legs and heads, and the console and center armrest are aligned—a common-sense back-saver that other automakers skip. SuperCab models can hold four adults in a pinch, but the back seat is better folded up for more interior cargo space, or folded down as a makeshift bench. Four-door, SuperCrew models comfortably fit four or five adults for long and short journeys, and have become go-to family vehicle replacements for SUV buyers looking for an open bed. Rear-seat passengers are treated to 43.6 inches of rear leg room, which should accommodate the longest legs. Like the SuperCab models, the rear seats in SuperCrew trucks fold up against the bed wall for more interior cargo space and there are under-seat storage cubbies for securing expensive tools or other small items. Front-seat riders get a wide, deep center console with enough room for hanging files, cellphones, laptops, pens, tools, whatever. There are enough USB ports to charge a gaggle of teenager’s cellphones, and the high-capacity ports support tablet charging. Many trucks can be fitted with standard power plugs up front to run small tools or appliances. The center stack is fitted with large buttons and dials that can be handled with gloves, and most infotainment functions have a redundant hard key, including the camera and trailer assist features. Three bed lengths are available: 5-foot-6, 6-foot-6, and 8-foot beds, with long-range 36-gallon tanks fitting under the longer beds for extended range. In-bed loading ramps, interior bed lighting, and cleats and brackets are available from the factory and are helpful for loading and securing gear in the truck. The Ford F-150 is mostly quiet inside, although we haven’t had any experience in XL models without acoustic glass. Noise cancellation piped into turbo-6 models helps quell some unnerving noises from the V-6 engines, but with limited effect in 2.7-liter models. The 2018 Ford F-150 is a relatively safe pick among full-size pickups. The IIHS gave the F-150 top "Good" scores on all crash tests but a "Poor" score for headlight efficacy. 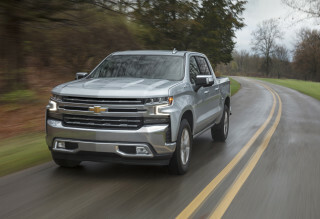 Federal testers gave the truck a five star overall score, including five stars for front- and side-impact safety and a four-star score for rollover protection. Compared to other full-size trucks, those are impressive scores. 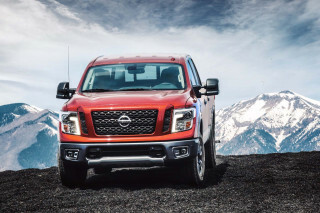 We have our quibbles though: advanced safety features are reserved for top-trim trucks, and we’ve had mixed experiences with those features so far. Advanced safety features such as adaptive cruise control, blind-spot monitors, inflatable rear seat belts, and active lane control complement standard, mandatory safety features such as stability and traction control. In our experience in a Ford F-150 Limited truck equipped with active lane control, when engaged the system pinballed around a lane, and in some cases confused seams in the road with lane markers. At low speeds, such as exiting an off-ramp and turning on to a city street, the system attempted to keep the truck in a lane and corrected steering at low speed resulting in a steering wheel that went stiff mid-turn, then light, then stiff again. It’s a system that we hope Ford refines further considering the number of trucks on the road that could benefit from the useful safety feature. The F-150 covers a lot of ground, so when considering features, it’s best to pack a lunch and dedicate plenty of time. There are tens of thousands—if not hundreds of thousands—of unique combinations possible with the 2018 Ford F-150. Myriad color, bed, cab, feature, and powertrain combinations are available, and that’s even before we’ve discussed gas vs. diesel. Most F-150 models can be distilled into one of three categories: work truck, play truck, or muscle truck. Ford F-150 XL and Ford F-150 XLT models are reasonably priced for work duty. Every bed size (5-foot-6, 6-foot-6, and 8-foot) and every cab configuration (Regular cab, SuperCap, and SuperCrew) can be fit to these trucks, and they can be outfitted with nearly every engine configuration too. 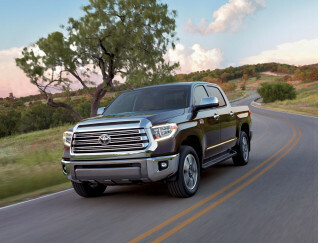 Standard features on every truck include a 6- or 10-speed automatic transmission, rear-wheel drive, and XL trucks are fitted with 17-inch tires, manual windows, vinyl floors, a radio, manual locks, air conditioning, flip-up seats on four-door cab models, and a tilt/telescoping steering wheel. For consumers, that may not seem all that comfortable, but for fleet buyers it’s fewer things that can go wrong. A popular equipment package adds power accessories, a trailer hitch for Class IV towing, and cruise control. XLT models add base comforts including power windows and locks, CD player, cloth front seats, and chrome bumpers. An STX sport appearance package available on XLT models changes the grille, adds 18-inch wheels, and more chrome, while and off-road-oriented FX4 model adds an electronic-locking rear differential, skid plates, and off-road shocks to four-wheel-drive models. Many retail buyers will start at XLT models that can add more options than work trucks including the trailer assist feature that makes it easier to back a trailer into tight spaces, safety add-ons including blind-spot monitors, an extended-range fuel tank, power adjustable pedals and seats, rearview camera, navigation, and others. The XLT models are best considered as a blank canvas for retail buyers looking for a work truck that can be parked in their driveway, too. Notably, the diesel engine is a fleet-only affair for the XL and XLT trim levels. Ford dealers won't stock them and they'll have to be ordered by qualifying buyers from the fleet department. Positioned above XLT models are more lavishly equipped trucks that turn the 2018 Ford F-150 into a weekend plaything and family vehicle. Ford F-150 Lariat models limit the configurations to V-8 and turbo V-6 engines, SuperCab and SuperCrew cabs—V-6 and Regular cabs aren't available here. They also add keyless ignition, a rearview camera, an 8.0-inch information screen as standard. Lariat models include optional rear heated seats, premium audio from Sony, two-tone paint, adaptive cruise control, and parking sensors. F-150 King Ranch models include more features and interior design schemes straight out of a dude ranch. Saddle-themed leather hides, two-tone paint, heated front and rear seats, multi-contour power adjustable front seats, chrome exterior accents, and contrast accent stitching befit these models. King Ranch models are available with a V-8 or the more potent, 3.5-liter turbocharged V-6. And if you're willing to add options—which is likely on the King Ranch, if you're considering it in the first place—paint and trim choices; surround cameras and active lane control; power running boards; blind-spot monitors; tailgate step; a bed extender; box side steps; adaptive cruise; park assist; a moonroof; 20-inch wheels; and a max trailer-tow package. The Platinum isn't the top of the line anymore—but it's certainly close to it. It gets standard LED headlights, blind-spot monitors, power running boards, remote start and tailgate release, 20-inch wheels, ambient lighting, inflatable rear seatbelts, multi-contour heated and cooled front seats, wood trim, navigation, and wood trim. Limited is king of the mountain for the F-150 again this year, and is trimmed like a luxury truck, rather than a work hauler. A dual-panel moonroof, surround-view camera system, 22-inch wheels, LED headlights and taillights, unique grille, adaptive cruise control, and 3.5-liter turbocharged V-6 engine are all standard. 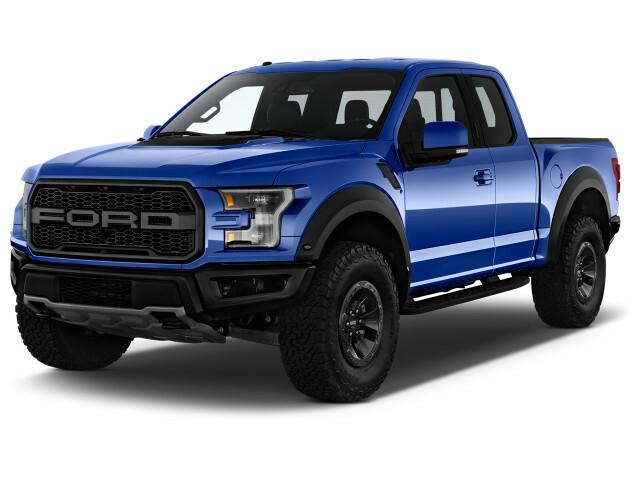 The 2018 Ford F-150 Raptor tops the Ford truck family. Every family has a crazy uncle, right? Using the top-of-the-line 3.5-liter V-6, the Raptor ups the output from that engine to 450 hp and 510 lb-ft. The Raptor features six drive modes, including Baja for ripping up sand dunes, and special knobby tires for off-roading. The Raptor isn't so much of a truck as it is a desert sports car; a muscle car with an open bed. Ford's Sync 3 and its 8.0-inch touchscreen is available in most models—as an upgrade in XLT models and standard in King Ranch or higher. More trucks with a 10-speed and standard start/stop should net fuel economy gains, but the diesel should be the efficiency champ. Ford has used aluminum across most of its trucks, which has resulted in significant weight savings and increased fuel economy. This year’s addition of a 10-speed automatic to most models helps push those numbers modestly higher. This year, the efficiency champ is a rear-drive 2.7-liter V-6 F-150. The EPA rates those at 20 mpg city, 26 highway, 22 combined. The new 3.3-liter V-6 is more efficient than the naturally aspirated 3.5-liter it’s replacing, but that engine is still saddled with a 6-speed automatic. 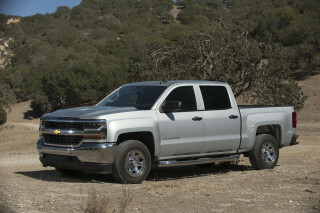 Base V-6 engines, which are popular with fleet buyers, are rated at 19/25/22 mpg in rear-drive configuration. The 3.5-liter V-6 and 10-speed combo net 17/23/19 mpg with four-wheel drive, which is a modest improvement over the same engine with a 6-speed. Naturally aspirated V-8 models are rated this year at 17/23/19 mpg with rear-drive, 16/22/18 mpg with four-wheel drive. Sure, those fuel economy numbers are profanely better than old pickups that didn't move, but somehow still required a refill. The newly available turbodiesel is a mixed-bag. Rear-drive F-150s come in at a headline-grabbing 22/30/25 mpg, but that figure drops to just 18/25/21 mpg with four-wheel drive. Given the extra cost of diesel fuel, not to mention the hefty initial purchase price, don't look for the turbodiesel to pay out in cost savings very quickly. Compared to crosstown rivals from General Motors and Ram, the Ford falls down a little. 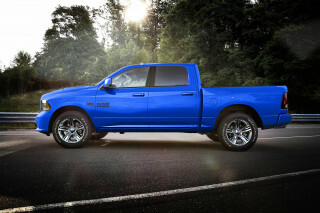 The most efficient Ram 1500, equipped with a turbodiesel V-6, manages 29 mpg on the highway (we've done better in real-world drives) and most V-8 equipped Chevy Silverados hover around the Ford turbo-6 models—and those Chevy trucks are more likely to hit their numbers in the real world.